Description: Racing and action fans can sate their need for speed with Mobster Roadster, a shooting and uphill racing hybrid. Upgrade your car, buy weapons and capture this city!. 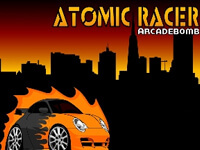 Mobster Roadster is a Car Games. Instructions: Arrow keys to drive and space to bomb..